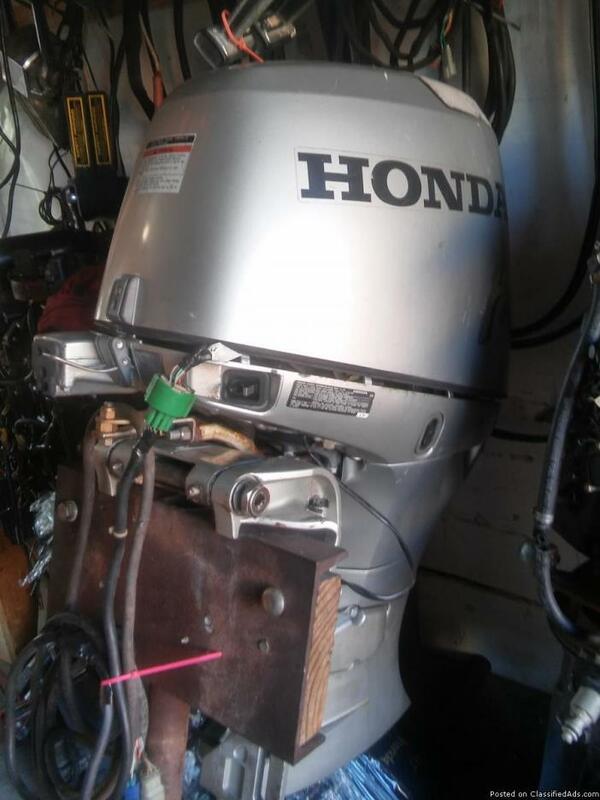 BF Honda 50 hp outboard serviced and bolt on ready! 1999 26FT. 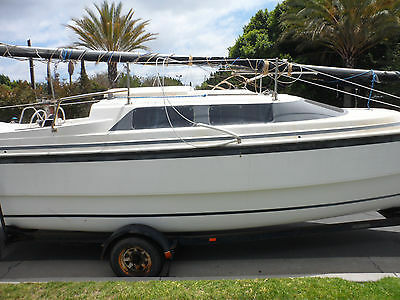 MACGREGOR 26X Motor Sailer Sail Boat 26' Length 2001 50HP Honda Engine (4 Cycle) Honda is best of class motor very reliable, forgiving and low maintenance. - Mainsail and jib in very good condition, lines in good condition, rigging excellent. - Roller furling - Cockpit cushions. - Swing keel - Bathroom and Sink pumps - Clean interior cushions - Porta Potty in excellent condition - Two battery system installed with motor and battery switch - Marine stereo - Marine radio - Nice size compass mounts above steering wheel - Honda Tach - Trailer is original This is a motor sailor, you have redundant propulsion sail and motor, so it is great safe boat for beginners. Great speed if you need to escape pirate capture or return to shore in an emergency (no running out of beer does not qualify as an emergency) you can just start the motor and quickly get there. Make the most of your time weekend sailing and keep everyone happy. While you may feel the inexplicably pleasure of the Sirens' Song on the smooth flat sun baker windless open ocean believe me your crew of Shanghaied family and friends wont share your love of sitting motionless in the baking sun. So when the wind doesn't want to cooperate and mutiny seems unstoppable no need to continue torturing your red faced crew just start the motor ad zip to the nearest shopping location for a little R&R. 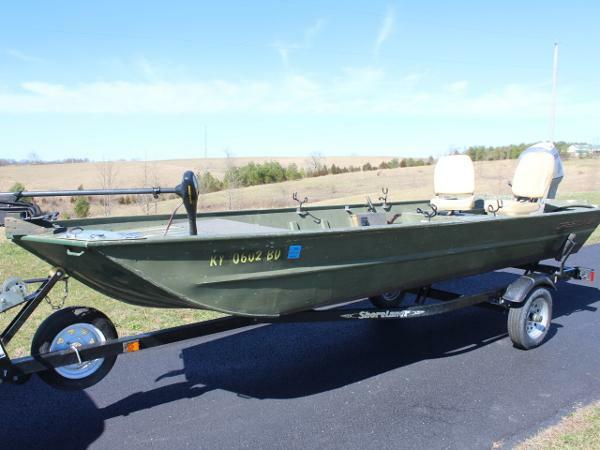 All around affordable, safest and most practical boat you can ever own. 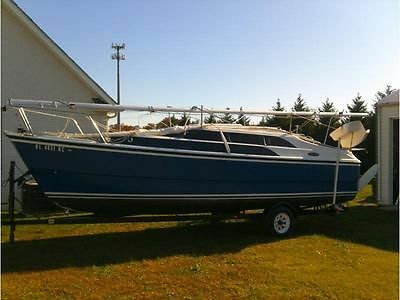 2002 Macgregor 26X, 50 HP Honda O/B. On trailer. Many upgrades. Please carefully see all pictures!!! In past five years boat bin 15 times in a water. 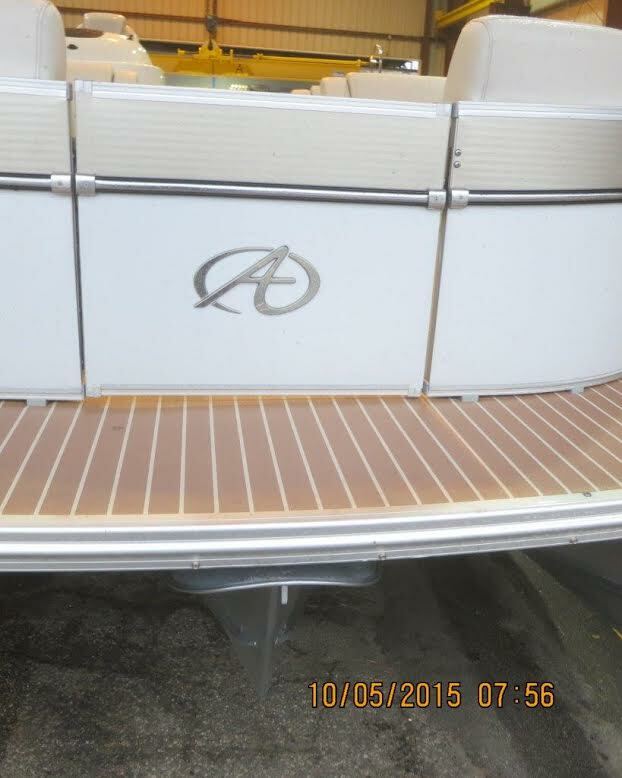 After each use clean up hull and flush engine. Hull interior and exterior in good condition. Sails, upholstery- no rips or blemishes. Two years old batteries. All electronics two years old, Stereo just installed. Trailer have spar tire, all tires almost new. New led lights and wires. More information you can see- http://www.youtube.com/watch?v=HDKfX6d4qHk Boat is located in Breezy Point Marina, Chesapeake Beach, MD 20732. Make a appointment to see and try an to water. If you have any questions- just ask. 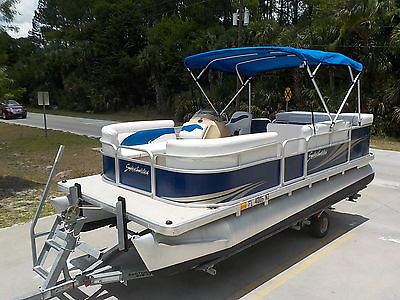 2011 Sweetwater Pontoon, 22’, 50hp Honda motor, 4 stroke, fuel injected, power trim and tilt, Sirius radio, AM/FM cd player, fish finder, depth finder, live well, 4 swivel seats, lounges, bimini top, docking lights, electric anchor, bathroom, excellent condition, garage kept, used less than 10 times, very low hours, cost $25,000 new, also included is a drive on trailer Call 304-346-5938 for more information This item is for sale locally. We reserve the right to end this auction at anytime. 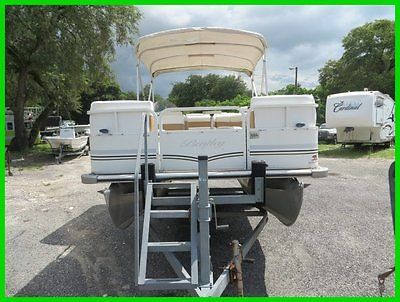 2003 Premier Pontoon/Honda 4-stroke 2003 Premier Pontoon Boat with HONDA FOUR STROKE 50-HP, with trailer. 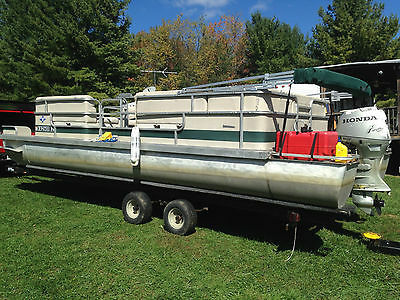 Includes double bimini top with full canvas cover. Boat is from Ohio and kept in fresh water. Runs great! Ready for a party on the water! Only 13,500. 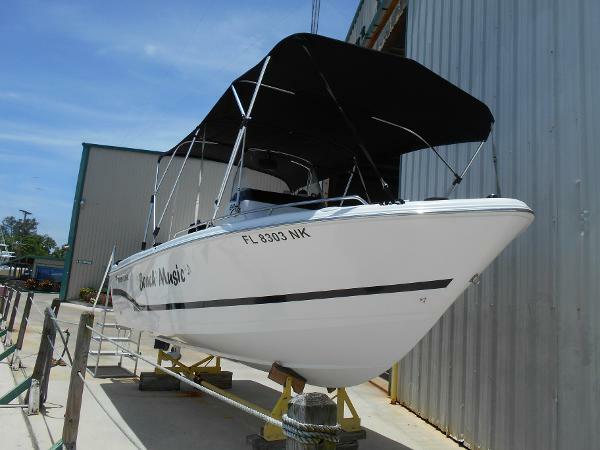 2007 Pro Line CC Sport Honda Four Stroke 136 Hrs We are pleased to present this beautiful condition, inside stored, 20 Foot Pro Line Center Console Sport with two Biminis for maximum sun protection. She is powered by a Four Stroke Honda 135 HP with only 136 hours. All service is up to date. She also comes with a 2009 Magic Tilt Trailer. 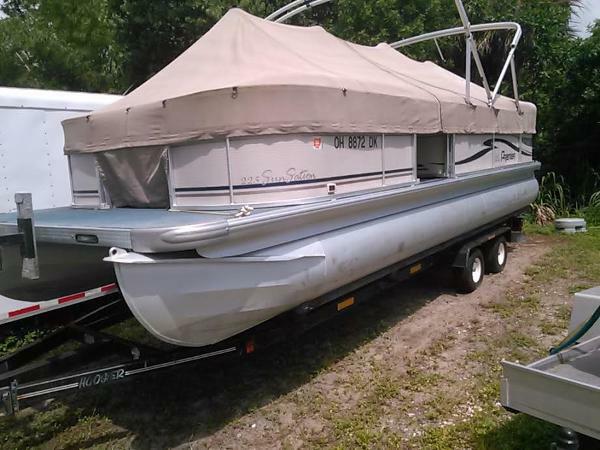 This is a complete package, boat, motor and trailer ready to go Now. Inside storage available in Manatee Pocket. New 2014 Garmin Echo Map50 including Charts and manualsVHF Marine RadioClarion Marine Stereo with USB port, 4 Fusion Marine SpeakersPorta PottiFish boxRod HoldersSwim Ladder plus ExtensionNo bottom paint2009 Magic Tilt TrailerFull Boat CoverCoast Guard Safety KitTow ropes and tubes! Call for a showing as this Boat is not at our location.